SAN DIEGO -- A man was detained and was being questioned in connection with an assault on homeless man in Golden Hill early Friday morning that investigators believe is linked to four other brutal attacks earlier this month that left three men dead and a fourth gravely injured. Shortly before 4:30 a.m., a 55-year-old man was beaten while asleep in the area of 19th and C streets. San Diego police officers responded and found the bloodied victim with significant trauma to his torso, San Diego police Capt. Dave Nisleit told reporters in a morning briefing. He was transported to a local hospital but is expected to survive. A little before 5:45 a.m., a man was taken into custody in the area of Laurel and Brant streets in Bankers Hill. Nisleit confirmed the detained man was being questioned in connection with the attack. His name was not disclosed. Nisleit confirmed the attack is likely connected to a slew of four others that occurred between July 3-6. "There is no doubt in my mind, this is part of our series,” Nisleit said. “This will be linked to the first case that happened on July 3. And we had the two cases on July 4 and the additional case on July 6." Nisleit said the detained man is not 36-year-old Anthony Alexander Padgett, who was arrested on July 7 in connection with the attacks, but released Monday after SDPD officials said they did not have enough evidence to hold him. "It is not Mr. Padgett," Nisleit declared. 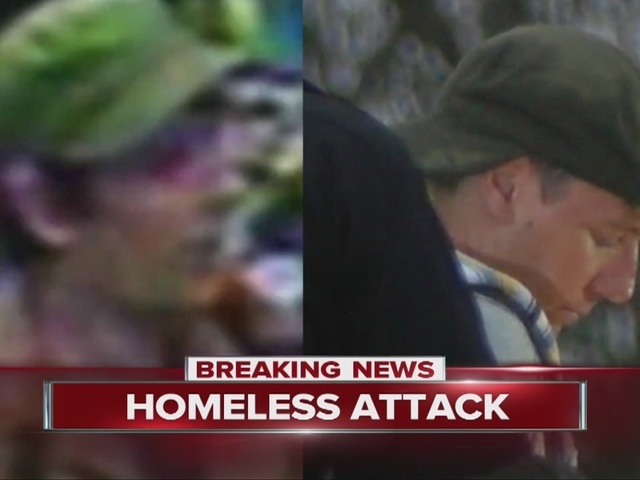 Meanwhile, another homeless man reported being attacked Friday morning at around the same time as the Golden Hill incident. The man said he was struck on the head with an object while at 2nd Avenue and Cedar Street in the downtown area. He told officers his attacker was riding a bicycle. He said he had bent down to tie his shoes when he was hit, sustaining a head wound. He was taken to a nearby hospital for treatment. Nisleit could not immediately confirm whether this attack was connected to the Golden Hill assault. On the morning of July 3, the body of 53-year-old Angelo De Nardo of San Diego was found in an open area off the 2700 block of Morena Boulevard in Bay Park. An autopsy determined that De Nardo died prior to being set on fire. On Thursday, police released a new sketch of the suspect.